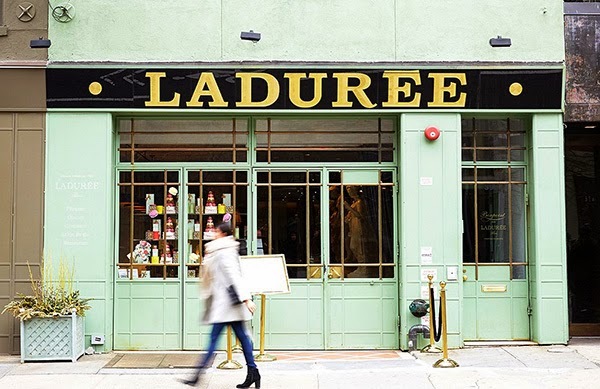 I ran across this great piece the other day on the One Kings Lane blog covering Elisabeth Holder, Co-President of Ladurée. 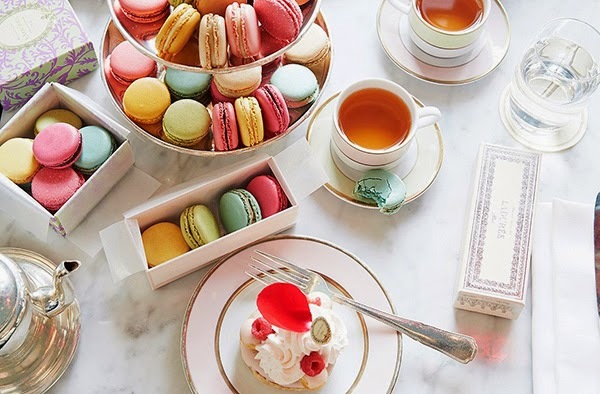 Not only do I love all things Ladurée, but I also love reading about successful businesswomen, especially effortlessly chic French ones! 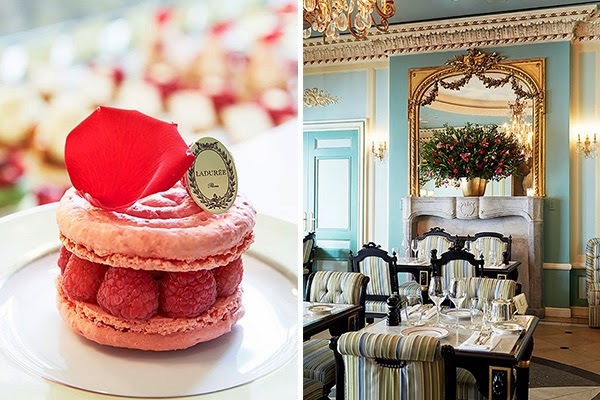 Holder's family purchased Ladurée in 1996 when it was, as she puts it, "a sleeping beauty." 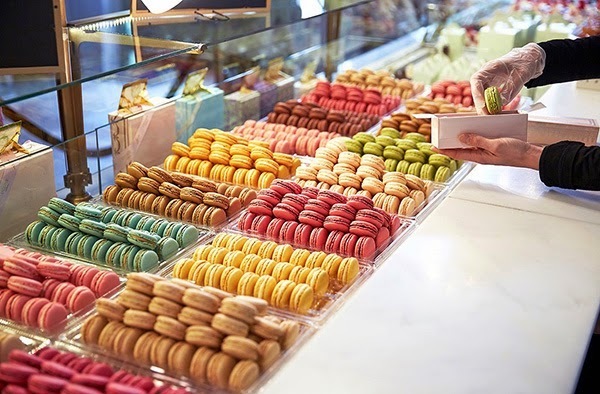 Since then, the luxury French bakery has exploded in popularity due to their famous macarons, opulently decorated tearooms, and impeccable attention to detail. 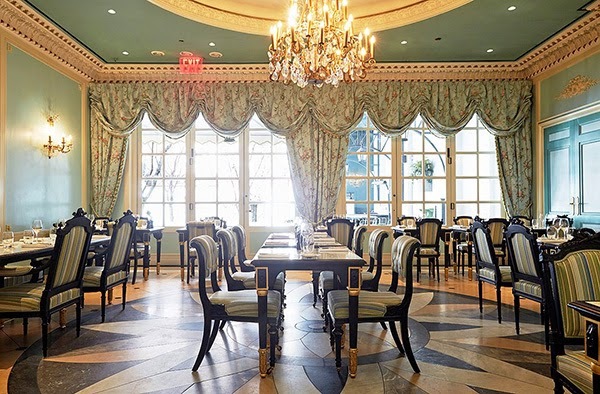 On my first visit to Ladurée in 2010, I even saved my paper napkin and sugar packet for my scrapbook! Every aspect of the experience was just so exquisite and worthy of savoring. 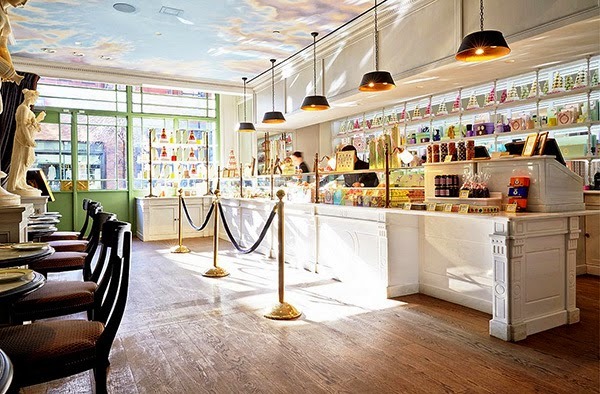 Holder herself decorated the newest New York location in Soho, (pictured above.) 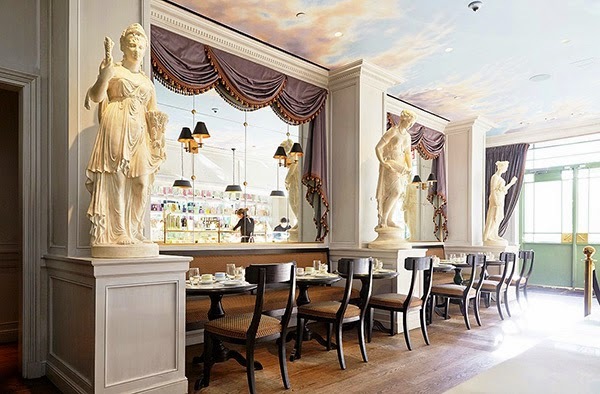 We've had the pleasure of visiting the Champ-Élysées, Harrod's London and Upper East Side locations, but have not visited New York since the Soho tearoom opened its doors. 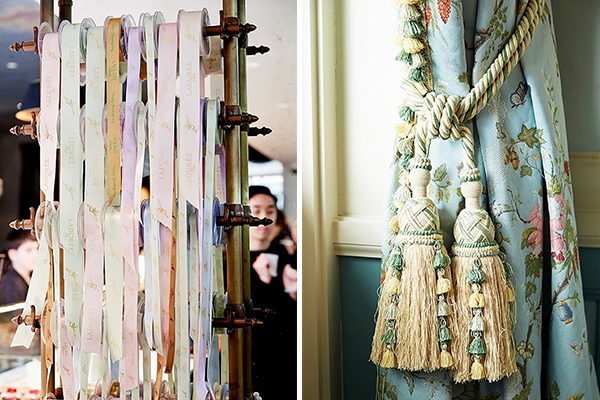 After seeing these gorgeous photos and reading some behind-the-scenes stories, our next visit cannot come soon enough! (And seriously, why have they still not opened up a shop in San Francisco??) 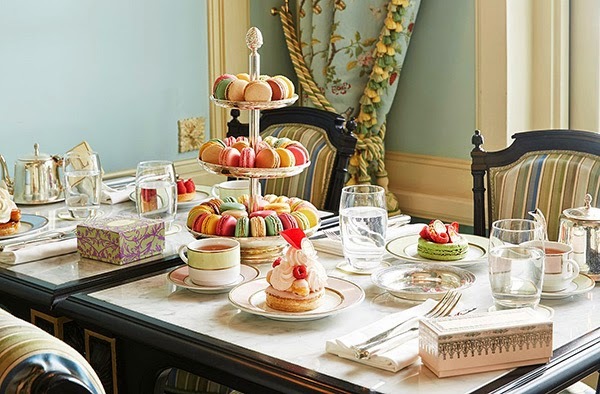 Ladurée goes beyond "a feast for the eyes"-- it's truly a feast for all the senses!